We study the effect of a bar in the galactic orbits of forty-fiveglobular clusters whose absolute proper motions are known. The orbitalcharacteristics of the orbits are compared with those obtained for thecase of an axisymmetric galactic potential. Tidal radii are computed anddiscussed for both cases. Results of CCD photometry using V and R filters are reported for 33 RRLyrae stars in M15. The periodicities of some variables have beenrevised and new ephemerides are given. The Blazhko effect, previouslyreported in V12, was not detected. Applying the approach of Fourierdecomposition of the light curves, the physical parameters of the typeRRab and RRc variables were estimated. The cluster is Oosterhoff type IIand the values for the iron content and distance are:[Fe/H]=-1.98+/-0.24 and d=8.67+/-0.41 kpc, respectively. The mean valuesof the physical parameters determined for the RR Lyrae stars place thecluster precisely into the sequences Oosterhoff type --metallicity andmetallicity-- effective temperature, valid for globular clusters.Evidences of evolution from the ZAHB are found for the RRc but not forthe RRab stars. NGC 4649 (M60) is one of a handful of giant Virgo ellipticals. We haveobtained Gemini/GMOS (Gemini North Multi-Object Spectrograph) spectrafor 38 globular clusters (GCs) associated with this galaxy. Applying themulti-index χ2 minimization technique of Proctor andSansom with the single stellar population models of Thomas, Maraston andKorn, we derive ages, metallicities and α-element abundanceratios. We find several young (2-3 Gyr old) supersolar metallicity GCs,while the majority are old (>10 Gyr), spanning a range ofmetallicities from solar to [Z/H]=-2. At least two of these young GCsare at large projected radii of 17-20 kpc. The galaxy itself shows noobvious signs of a recent starburst, interaction or merger. A trend ofdecreasing α-element ratio with increasing metallicity is found. We present an empirical calibration of the mixing-length free parameterα based on a homogeneous infrared database of 28 Galactic globularclusters spanning a wide metallicity range (-2.15<[Fe/H]<-0.2).Empirical estimates of the red giant effective temperatures have beenobtained from infrared colors. Suitable relations linking thesetemperatures to the cluster metallicity have been obtained and comparedto theoretical predictions. An appropriate set of models for the Sun andPopulation II giants has been computed by using both the standard solarmetallicity (Z/X)solar=0.0275 and the most recently proposedvalue (Z/X)solar=0.0177. We find that when the standard solarmetallicity is adopted, a unique value of α=2.17 can be used toreproduce both the solar radius and the Population II red gianttemperature. Conversely, when the new solar metallicity is adopted, twodifferent values of α are required: α=1.86 to fit the solarradius and α~2.0 to fit the red giant temperatures. However, itmust be noted that regardless the adopted solar reference, theα-parameter does not show any significant dependence onmetallicity.Based on observations collected at the European Southern Observatory(ESO), La Silla, Chile. Also based on observations made with the ItalianTelescopio Nazionale Galileo (TNG) operated on the island of La Palma bythe Fundacion Galileo Galilei of the INAF (Istituto Nazionale diAstrofisica) at the Spanish Observatorio del Roque de los Muchachos ofthe Instituto de Astrofisica de Canarias. The first catalog of the RR Lyrae stars (RRLSs) in the Galactic halo bythe Quasar Equatorial Survey Team (QUEST) has been searched forsignificant overdensities that may be debris from disrupted dwarfgalaxies or globular clusters. These RRLSs are contained in a band ~2.3dwide in declination that spans ~165° in right ascension and lie ~4to ~60 kpc from the Sun. Away from the major overdensities, thedistribution of these stars is adequately fitted by a smooth halo model,in which the flattening of the halo decreases with increasinggalactocentric distance (as reported by Preston et al.). This model wasused to estimate the ``background'' of RRLSs on which the halooverdensities are overlaid. A procedure was developed for recognizinggroups of stars that constitute significant overdensities with respectto this background. To test this procedure, a Monte Carlo routine wasused to make artificial RRLS surveys that follow the smooth halo modelbut with Poisson-distributed noise in the numbers of RRLSs and, withinlimits, random variations in the positions and magnitudes of theartificial stars. The 104 artificial surveys created by thisroutine were examined for significant groups in exactly the same way asthe QUEST survey. These calculations provided estimates of thefrequencies with which random fluctuations produce significant groups.In the QUEST survey there are six significant overdensities that containsix or more stars and several smaller ones. The small ones and possiblyone or two of the larger ones may be artifacts of statisticalfluctuations, and they need to be confirmed by measurements of radialvelocity and/or proper motion. The most prominent groups are thenorthern stream from the Sagittarius dwarf spheroidal galaxy and a largegroup in Virgo, formerly known as the ``12.4 hr clump,'' which Duffauand coworkers have recently shown to contain a stellar stream (the Virgostellar stream). Two other groups lie in the direction of the Monocerosstream and at approximately the right distance for membership. Anothergroup is related to the globular cluster Palomar 5. Photometric UBVI CCD photometry is presented for NGC 188 and Berkeley17. Color-magnitude diagrams (CMDs) are constructed and reach well pastthe main-sequence turnoff for both clusters. Cluster ages are determinedby means of isochrone fitting to the cluster CMDs. These fits areconstrained to agree with spectroscopic metallicity and reddeningestimates. Cluster ages are determined to be 7.0+/-0.5 Gyr for NGC 188and 10.0+/-1.0 Gyr for Berkeley 17, where the errors refer touncertainties in the relative age determinations. These ages arecompared to the ages of relatively metal-rich inner halo/thick-diskglobular clusters and other old open clusters. 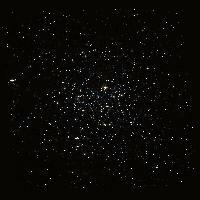 Berkeley 17 and NGC 6791are the oldest open clusters, with ages of 10 Gyr. They are 2 Gyryounger than the thick-disk globular clusters. These results confirm thestatus of Berkeley 17 as one of the oldest known open clusters in theMilky Way, and its age provides a lower limit to the age of the Galacticdisk. We compare the near-infrared (JHK) globular cluster luminosity functions(GCLFs) of the Milky Way, M31, and the Sculptor Group spiral galaxies.We obtained near-infrared photometry with the Persson's AuxiliaryNasmyth Infrared Camera on the Baade Telescope for 38 objects (mostlyglobular cluster candidates) in the Sculptor Group. We also havenear-infrared photometry from the Two Micron All Sky Survey (2MASS)-6Xdatabase for 360 M31 globular cluster candidates and aperture photometryfor 96 Milky Way globular cluster candidates from the 2MASS All-Sky andSecond Incremental Release databases. The M31 6X GCLFs peak at absolutereddening-corrected magnitudes of MJ0=-9.18,MH0=-9.73, and MK0=-9.98.The mean brightness of the Milky Way objects is consistent with that ofM31 after accounting for incompleteness. The average Sculptor absolutemagnitudes (correcting for relative distance from the literature andforeground reddening) are MJ0=-9.18,MH0=-9.70, and MK0=-9.80.NGC 300 alone has absolute foreground-dereddened magnitudesMJ0=-8.87, MH0=-9.39, andMK0=-9.46 using the newest Gieren et al. distance.This implies either that the NGC 300 GCLF may be intrinsically fainterthan that of the larger galaxy M31 or that NGC 300 may be slightlyfarther away than previously thought. Straightforward application of ourM31 GCLF results as a calibrator gives NGC 300 distance moduli of26.68+/-0.14 using J, 26.71+/-0.14 using H, and 26.89+/-0.14 using K.Data for this project were obtained at the Baade 6.5 m telescope, LasCampanas Observatory, Chile. Aims.The interpretation of globular cluster horizontal branch (HB)morphology is a classical problem that can significantly blur ourunderstanding of stellar populations. Methods: .We present a newmultivariate analysis connecting the effective temperature extent of theHB with other cluster parameters. The work is based on Hubble SpaceTelescope photometry of 54 Galactic globular clusters. Results: .The present study reveals the important role of the total mass of theglobular cluster on its HB morphology. More massive clusters tend tohave HBs more extended to higher temperatures. For a set of three inputvariables including the temperature extension of the HB, [Fe/H] and M_V,the first two eigenvectors account for 90% of the total samplevariance. Conclusions: . Possible effects of clusterself-pollution on HB morphology, stronger in more massive clusters,could explain the results derived here. Context: .Metal-poor globular clusters in the bulge are importanttracers of early chemical evolution. HP-1 is among the six metal-poorclusters within 5° of the Galactic center, and could be the oneclosest to the centerAims. The main purpose of this study is thedetermination of metallicity and elemental ratios. Methods.Highresolution spectra of two giants of the bulge globular cluster HP-1 wereobtained at the 8 m VLT UT2-Kueyen telescope with the UVES spectrograph.This is the second metal-poor globular cluster in the bulge for which adetailed abundance analysis is presented. MultibandV,I,J,H,Ks photometry was used to derive effectivetemperatures.Results. The present analysis provides a metallicity [Fe/H]= -1.00±0.2. The α-elements oxygen and silicon show [α/Fe] ≈ +0.3, whereas magnesium, calcium and titanium showsolar ratios. 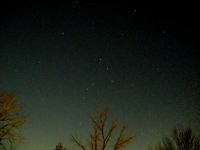 A proper motion analysis indicates that the two stars arecluster members. Conclusions.The metallicity is unexpected for a blueHorizontal Branch (BHB) cluster. HP-1 is the first known cluster withsuch a high metallicity combined with a BHB and a steep Red Giant Branch(RGB). Together with NGC 6388 and NGC 6441 of [Fe/H]-0.6 it wouldbe third with such characteristics, but it differs from them, sincethese two other clusters have also a populous Red HB, and a normal slopeof the RGB for their metallicity, which is not the case of HP-1. We study the red giant populations of two dE galaxies, AM 1339-445 andAM 1343-452, with the aim of investigating the number and luminosity ofany upper asymptotic giant branch (AGB) stars present. The galaxies aremembers of the Centaurus A group (D ≈ 3.8 Mpc) and are classified asoutlying (R ≈ 350 kpc) satellites of Cen A. The analysis is based onnear-IR photometry for individual red giant stars, derived from imagesobtained with ISAAC on the VLT. The photometry, along with optical dataderived from WFPC2 images retrieved from the HST science archive, enableus to investigate the stellar populations of the dEs in the vicinity ofthe red giant branch (RGB) tip. In both systems we find stars above theRGB tip, which we interpret as intermediate-age upper-AGB stars. Thepresence of such stars is indicative of extended star formation in thesedEs similar to that seen in many, but not all, dEs in the Local Group.For AM 1339-445, the brightest of the upper-AGB stars haveMbol ≈-4.5 while those in AM 1343-452 have Mbol≈ -4.8 mag. These luminosities suggest ages of approximately 6.5± 1 and 4 ± 1 Gyr as estimates for the epoch of the lastepisode of significant star formation in these systems. In both casesthe number of upper-AGB stars suggests that ~15% of the total stellarpopulation is in the form of intermediate-age stars, considerably lessthan is the case for outlying dE satellites of the Milky Way such asFornax and Leo I. We present a new technique for the determination of age and metallicityin composite stellar populations using Strömgren filters. Usingprincipal component (PC) analysis on multicolor models, we isolate therange of values necessary to uniquely determine age and metallicityeffects. The technique presented here can only be applied to old(τ>3 Gyr) stellar systems composed of simple stellar populations,such as globular clusters and elliptical galaxies. Calibration using newphotometry of 40 globular clusters with spectroscopic [Fe/H] values andmain-sequence-fitted ages links the PC values to the Strömgrencolors, for an accuracy of 0.2 dex in metallicity and 0.5 Gyr in age. We report on the detection of SiO masers in Asymptotic Giant Branchvariables toward bulge/disk globular clusters. In five out of six cases,the radial velocities are compatible with the optically measured radialvelocities of globular clusters in the assessed uncertainty. Twosources, toward Terzan 5 and Terzan 12, lie very close to the clustercenters. The objects toward Pal 6 and Terzan 12 have luminositiesappropriate to the AGB tip in globular clusters, while those toward NGC6171, Pal 10, and Terzan 5 are brighter than expected. It is suggestedthat the latter three may have evolved from merged binaries, offering atest for binary-evolution scenarios in globular clusters, if themembership is approved. Low-resolution spectroscopy obtained with FORS2 at the Very LargeTelescope (VLT) has been used for the measurement of individual metalabundances ([Fe/H]) for 110 variable stars, including 107 RR Lyrae starsand one anomalous Cepheid, and to trace the metal distribution of theoldest stellar component in the Sculptor dwarf spheroidal galaxy. The RRLyrae stars are spread over a 15 × 15 arcmin2 areaaround the galaxy centre. Their metallicities have an average value of[Fe/H]=-1.83 +/- 0.03 (rms = 0.26 dex) and cover the metallicity range-2.40 < [Fe/H] < -0.85 (on the scale of Zinn & West), butthere is only one variable that has [Fe/H] > -1.3. The star-to-starscatter is larger than typical errors on individual metallicities(+/-0.15-0.16 dex), indicating a real spread in metal abundances. Theradial velocities measured from the RR Lyrae spectra have a dispersionof 12.9kms-1. This value is consistent with the dispersionderived by Tolstoy et al. for metal-poor red giants associated with theblue horizontal branch stars in Sculptor. Along with the metallicitydistribution these results suggest that most of the RR Lyrae stars inSculptor arise from the same burst of stellar formation that producedthe metal-poor component, originating the galaxy blue horizontal branch.The metal-rich red horizontal branch population found to be centrallyconcentrated only produced a few (if any) of the RR Lyrae stars in oursample. The spectroscopic metallicities were used along with theapparent luminosities to study the luminosity-metallicity relationfollowed by the RR Lyrae stars in Sculptor, for which we derive ashallow slope of 0.09magdex-1. 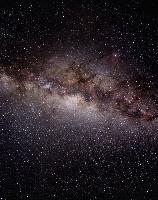 This result can be due to ahigh level of evolution off the zero-age horizontal branch of the RRLyrae stars in this galaxy, again in agreement with their origin fromthe blue horizontal branch population. We present high-quality near-infrared (near-IR) photometry of four bulgemetal-rich globular clusters, namely NGC 6304, 6569, 6637 and 6638. Byusing the observed colour-magnitude diagrams we derived photometricestimates of the cluster reddening and distance. We performed a detailedanalysis of the red giant branch (RGB), presenting a completedescription of its morphologic parameters and evolutionary features(bump and tip). Photometric estimates of the cluster metallicity wereobtained using the updated data set (published by our group) linkingmetal abundance to a variety of near-IR indices measured along the RGB.The detection of the RGB bump and tip is also presented and brieflydiscussed. We investigate what may be the origin of the presently observed spatialdistribution of the mass of the Galactic Old Halo globular clustersystem. We propose its radial mass density profile to be a relic of thedistribution of the cold baryonic material in the protogalaxy. Assumingthat this one arises from the profile of the whole protogalaxy minus thecontribution of the dark matter (and a small contribution of the hot gasby which the protoglobular clouds were bound), we show that the massdistributions around the Galactic centre of this cold gas and of the OldHalo agree satisfactorily. In order to demonstrate our hypothesis evenmore conclusively, we simulate the evolution with time, up to an age of15Gyr, of a putative globular cluster system whose initial massdistribution in the Galactic halo follows the profile of the coldprotogalactic gas. We show that beyond a galactocentric distance oforder 2-3kpc, the initial shape of such a mass density profile ispreserved despite the complete destruction of some globular clusters andthe partial evaporation of some others. This result is almostindependent of the choice of the initial mass function for the globularclusters, which is still ill determined. The shape of these evolvedcluster system mass density profiles also agrees with the presentlyobserved profile of the Old Halo globular cluster system, thusstrengthening our hypothesis. Our result might suggest that theflattening shown by the Old Halo mass density profile at short distancesfrom the Galactic centre is, at least partly, of primordial origin. We present a database of structural and dynamical properties for 153spatially resolved star clusters in the Milky Way, the Large and SmallMagellanic Clouds, and the Fornax dwarf spheroidal. This databasecomplements and extends others in the literature, such as those ofHarris and Mackey & Gilmore. Our cluster sample comprises 50 ``youngmassive clusters'' in the LMC and SMC, and 103 old globular clustersbetween the four galaxies. The parameters we list include central andhalf-light-averaged surface brightnesses and mass densities; core andeffective radii; central potentials, concentration parameters, and tidalradii; predicted central velocity dispersions and escape velocities;total luminosities, masses, and binding energies; central phase-spacedensities; half-mass relaxation times; and ``κ-space'' parameters.We use publicly available population-synthesis models to computestellar-population properties (intrinsic B-V colors, reddenings, andV-band mass-to-light ratios) for the same 153 clusters plus another 63globulars in the Milky Way. We also take velocity-dispersionmeasurements from the literature for a subset of 57 (mostly old)clusters to derive dynamical mass-to-light ratios for them, showing thatthese compare very well to the population-synthesis predictions. Thecombined data set is intended to serve as the basis for futureinvestigations of structural correlations and the fundamental plane ofmassive star clusters, including especially comparisons between thesystemic properties of young and old clusters.The structural and dynamical parameters are derived from fitting threedifferent models-the modified isothermal sphere of King; an alternatemodified isothermal sphere based on the ad hoc stellar distributionfunction of Wilson; and asymptotic power-law models withconstant-density cores-to the surface-brightness profile of eachcluster. Surface-brightness data for the LMC, SMC, and Fornax clustersare based in large part on the work of Mackey & Gilmore, but includesignificant supplementary data culled from the literature and importantcorrections to Mackey & Gilmore's V-band magnitude scale. Theprofiles of Galactic globular clusters are taken from Trager et al. Weaddress the question of which model fits each cluster best, finding inthe majority of cases that the Wilson models-which are spatially moreextended than King models but still include a finite, ``tidal'' cutoffin density-fit clusters of any age, in any galaxy, as well as or betterthan King models. Untruncated, asymptotic power laws often fit about aswell as Wilson models but can be significantly worse. We argue that theextended halos known to characterize many Magellanic Cloud clusters maybe examples of the generic envelope structure of self-gravitating starclusters, not just transient features associated strictly with youngage. All 25 Lick/IDS spectral indices have been computed for the integratedlight of simple stellar populations over broad ranges of age andmetallicity and with effects from horizontal-branch stars fullyimplemented. Our models employ α-enhanced isochrones at thesub-solar metallicity regime, but solar-scaled ones at solar andsuper-solar metallicity. We have also employed the updated responsefunctions of Houdashelt et al. at the solar and super-solar metallicityregime, so that we could assess the light-element enhancement phenomenaseen from metal-rich early-type galaxies. For Balmer indices asignificant response was noted for Hγ and Hδ whenα-elements are enhanced, but Hβ is ratherα-insensitive. We also find that our 5 and 12 Gyr models ofHγ and Hδ overlap in the metal-poor regime because ofchanging populations of blue horizontal-branch stars. Furthermore, forpopulations younger than 1 Gyr, Balmer lines become weaker in themetal-poor regime because the main-sequence turnoff is hotter than10,000 K. We present models at fixed [Fe/H] (rather than fixed heavyelement mass fraction Z) and compare to Milky Way globular clusters thathave independently estimated mean [Fe/H] and [α/Fe]. Comparison ofour models with observations of Milky Way and M31 globular clusters inindex-index space are favorable, tracing the observations at a model ageof 12 Gyr without any zero-point shifts that are needed by some othermodels. The metallicity range of M31 globular clusters is similar tothat of their Galactic counterparts. We also verify Beasley et al. 'srecent hypothesis of the existence of young and intermediate-age starclusters in M31. Contrary to the literature values, the Milky Wayglobular cluster NGC 6553 appears more metal-rich than NGC 6528 frommetal indices. We present Hδ and Hγ Lick/IDS indices for theLick/IDS sample of galaxies. We confirm the well-known enhancement of Mgand Na relative to Fe and Ca among early-type galaxies, and its increasewith increasing velocity dispersion. There are distinct differencesbetween globular clusters and galaxies in diagrams involvingCN1 and CN2, hinting that the globular clusterenvironment may be a special one in terms of the amount of Nincorporated into stars. We present a new library of integrated spectra of 40 Galactic globularclusters, obtained with the Blanco 4 m telescope and the R-Cspectrograph at the Cerro Tololo Inter-American Observatory. The spectracover the range ~3350-6430 Å with ~3.1 Å (FWHM) resolution.The spectroscopic observations and data reduction were designed tointegrate the full projected area within the cluster core radii in orderto properly sample the light from stars in all relevant evolutionarystages. The S/N values of the flux-calibrated spectra range from 50 to240 Å-1 at 4000 Å and from 125 to 500Å-1 at 5000 Å. The selected targets span a widerange of cluster parameters, including metallicity, horizontal-branchmorphology, Galactic coordinates, Galactocentric distance, andconcentration. The total sample is thus fairly representative of theentire Galactic globular cluster population and should be valuable forcomparison with similar integrated spectra of unresolved stellarpopulations in remote systems. For most of the library clusters, ourspectra can be coupled with deep color-magnitude diagrams and reliablemetal abundances from the literature to enable the calibration ofstellar population synthesis models. In this paper we present a detailedaccount of the observations and data reduction. The spectral library ispublicly available in electronic format from the National OpticalAstronomical Observatory Web site. Low-resolution spectra have been used to measure individual metalabundances of RR Lyrae stars in NGC 6441, a Galactic globular clusterknown to have very unusual horizontal-branch morphology and periods ofthe RR Lyrae stars for its high metallicity. We find an average metalabundance of [Fe/H]=-0.69+/-0.06 (rms=0.33 dex) and [Fe/H]=-0.41+/-0.06(rms=0.36 dex) on Zinn & West and Carretta & Gratton metallicityscales, respectively, consistent with the cluster metal abundancederived by Armandroff & Zinn. Most of the metallicities wereextrapolated from calibration relations defined for [Fe/H]<=-1however, they are clearly high and contrast with the rather long periodsof the NGC 6441 variables, thus confirming that the cluster does not fitin the general Oosterhoff classification scheme. The rms scatter of theaverage is larger than observational errors (0.15-0.16 dex), possiblyindicating some spread in metallicity. 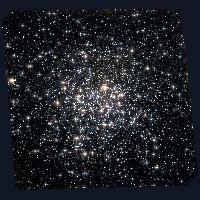 However, even the metal-poorvariables, if confirmed to be cluster members, are still more metal-richthan those commonly found in the Oosterhoff type II globular clusters.Based on data collected at the Very Large Telescope of the EuropeanSouthern Observatory, Paranal, Chile, program number 71.B-0621. We report on the discovery of a large number of RR Lyrae variable starsin the moderately metal-rich Galactic globular cluster M62 (NGC 6266),which places it among the top three most RR Lyrae-rich globular clustersknown. Likely members of the cluster in our studied field, from ourpreliminary number counts, include ~130 fundamental-mode (RRab)pulsators, with =0.548 days, and ~75first-overtone (RRc) pulsators, with =0.300 days.The average periods and the position of the RRab variables withwell-defined light curves in the Bailey diagram both suggest that thecluster is of Oosterhoff type I. However, the morphology of thecluster's horizontal branch (HB) is strikingly similar to that of theOosterhoff type II globular cluster M15 (NGC 7078), with a dominant blueHB component and a very extended blue tail. Since M15 and M62 differ inmetallicity by about 1 dex, we conclude that metallicity, at a fixed HBtype, is a key parameter determining the Oosterhoff status of a globularcluster and the position of its variables in the Bailey diagram. We present accurate relative ages for a sample of 55 Galactic globularclusters. The ages have been obtained by measuring the differencebetween the horizontal branch and the turnoff in two internallyphotometrically homogeneous databases. The mutual consistency of the twodata sets has been assessed by comparing the ages of 16 globularclusters in common between the two databases. We have also investigatedthe consistency of our relative age determination within the recentstellar model framework. All clusters with [Fe/H]<-1.7 are found tobe old and coeval, with the possible exception of two objects, which aremarginally younger. The age dispersion for the metal-poor clusters is0.6 Gyr (rms), consistent with a null age dispersion.Intermediate-metallicity clusters (-1.7<[Fe/H]<-0.8) are onaverage 1.5 Gyr younger than the metal-poor ones, with an age dispersionof 1.0 Gyr (rms) and a total age range of ~3 Gyr. About 15% of theintermediate-metallicity clusters are coeval with the oldest clusters.All the clusters with [Fe/H]>-0.8 are ~1 Gyr younger than the mostmetal-poor ones, with a relatively small age dispersion, although themetal-rich sample is still too small to allow firmer conclusions. Thereis no correlation of the cluster age with the galactocentric distance.We briefly discuss the implication of these observational results forthe formation history of the Galaxy.Based on observations with the NASA/ESA Hubble Space Telescope, obtainedat the Space Telescope Science Institute, which is operated by theAssociation of Universities for Research in Astronomy, Inc., under NASAcontract NAS 5-26555, and on observations made at the European SouthernObservatory, La Silla, Chile, and with the Isaac Newton GroupTelescopes. We present deep JHK photometry of the old and metal-rich open clusterNGC 6791. The photometry reaches below the main-sequence turnoff toK~16.5 mag. We combine our photometry with that from Stetson et al. toprovide color-magnitude diagrams showing K versus J-K, K versus V-K, andV versus V-K. We study the slope of the red giant branch in the infraredbut find that it is not a useful metallicity indicator for the cluster,nor any metal-rich cluster that lacks a well-populated red giant branch,because it is not linear, as has often been assumed, in K versus J-K.The mean color of the red horizontal-branch/red clump stars provide anestimate of the cluster reddening, E(B-V)=0.14+/-0.04 mag for[Fe/H]=+0.4+/-0.1. The mean magnitudes of these stars also provide agood distance estimate, (m-M)0=13.07+/-0.04. Finally, we findthat the isochrones of Yi et al. provide optimal fits in V versus B-Vand V-K and K versus J-K and V-K for such values if [Fe/H] lies between+0.3 and +0.5 (with a slight preference for +0.5) and ages between 9 Gyr([Fe/H]=+0.3) and 7.5 Gyr ([Fe/H]=+0.5).Based on observations made with the Mayall 4 m Telescope of the NationalOptical Astronomy Observatory. We report the results of CCD V and R photometry of the RRstars known inNGC147. The periodicities of most variables are revised and newephemerides are calculated. The Blazhko effect has been detected in V2and V6. Three previously reported variables; V5, V9, and V15 are foundto be non-variable. A new variable V18 was discovered with a period of0.49205 days and an amplitude of 0.15. Using the approach of Fourierdecomposition of the light curves, the physical parameters of the RRaband RRc variables were estimated. The cluster is of the Oosterhoff type.With the newly values [Fe/H]= -1.22Â+/-0.31 and 16.8Â+/-1.3,the cluster fits very well into the Oosterhoff type-metallicity andmetallicity-temperature sequence found in globular clusters. Acomparison with ZAHB models indicates that the RRab stars have not yetevolved off the horizontal branch, a result consistent with the meanperiod of the RRab variables and with the metallicity of the clusterderived in this work. We define a method for the analysis of the integrated spectra ofextragalactic globular clusters that provides more reliable measures ofthe age, metallicity and α-element abundance ratio than have sofar been achieved. The method involves the simultaneous fitting of up to25 Lick indices in a χ2 fitting technique that maximizesthe use of the available data. Here we compare three sets of singlestellar population (SSP) models of Lick indices to the highsignal-to-noise, integrated spectra of 20 Galactic globular clusters.The ages, [Fe/H] and α-element abundance ratios derived from theSSP models are compared with the results of resolved stellar populationstudies from the literature. We find good consistency with the publishedvalues, with an agreement of better than 0.1 dex in all three derivedparameters. The technique allows the identification of abundance ratioanomalies, such as the known nitrogen overabundance in Galactic globularclusters, and the presence of anomalous horizontal branch morphologies.It also minimizes the impact on the derived parameters of imperfectcalibration to the Lick system, and reduction errors in general. Themethod defined in this paper is therefore robust with respect to many ofthe difficulties that plague the application of SSP models in general.Consequently, it is well suited to the study of extragalactic globularcluster systems. We present new empirical calibrations of the red giant branch (RGB) bumpand tip based on a homogeneous near-infrared data base of 24 Galacticglobular clusters. The luminosities of the RGB bump and tip in the J, Hand K bands and their dependence on the cluster metallicity have beenstudied, yielding empirical relationships. By using recenttransformations between the observational and theoretical planes, wealso derived similar calibrations in terms of bolometric luminosity.Direct comparisons between updated theoretical models and observationsshow an excellent agreement. The empirical calibration of the RGB tipluminosity in the near-infrared passbands presented here is afundamental tool to derive distances to galaxies far beyond the LocalGroup, in view of using the new ground-based adaptive optics facilitiesand, in the near future, the James Webb Space Telescope. We present new high-quality near-infrared photometry of 10 Galacticglobular clusters spanning a wide metallicity range (-2.12<=[Fe/H]<=- 0.49): five clusters belong to the halo (NGC 288, 362,6752, M15 and M30) and five (NGC 6342, 6380, 6440, 6441 and 6624) to thebulge. By combining J, H and K observations with optical data, weconstructed colour-magnitude diagrams in various planes: (K, J-K), (K,V-K), (H, J-H) and (H, V-H). A set of photometric indices (colours,magnitudes and slopes) describing the location and the morphology of thered giant branch (RGB) have been measured. We have combined this newdata set with those collected by our group over the last 5 years, andhere we present an updated calibration of the various RGB indices in theTwo-Micron All-Sky Survey photometric system, in terms of the clustermetallicity. Using evolutionary population synthesis, we present integrated spectralenergy distributions and absorption-line indices defined by the LickObservatory image dissector scanner (referred to as Lick/IDS) system,for an extensive set of instantaneous burst single stellar populations(SSPs). The ages of the SSPs are in the range 1 Gyr <=τ<= 19Gyr and the metallicities are in the range -2.3 <=[Fe/H]<=+0.2.Our models use the rapid single stellar evolution algorithm of Hurley,Pols and Tout for the stellar evolutionary tracks, the empirical andsemi-empirical calibrated BaSeL-2.0 model of Lejeune, Cuisinier andBuser for the library of stellar spectra and the empirical fittingfunctions of Worthey, Faber, Gonzalez and Burstein for the Lick/IDSspectral absorption-feature indices.Applying our synthetic Lick/IDS absorption-line indices to the meritfunction, we obtain the age and the metallicity of the central region ofM32, which can be well explained by an instantaneous SSP with an age of~6.5 Gyr and a metallicity similar to solar. Applying the derived ageand the metallicity from the merit function to a number of index-indexdiagrams, we find that the plots of Hβ-Fe5015 andHβ-Fe5782 are the best index-index diagrams from whichwe can directly obtain reasonable age and metallicity. We have obtained Keck Low-Resolution Imaging Spectrometer imaging andspectra for 29 globular clusters associated with the lenticular galaxyNGC 524. Using the empirical calibration of Brodie & Huchra we findthat our spectroscopic sample spans a metallicity range of -2.0<=[Fe/H]<= 0. We have compared the composite spectrum of themetal-poor ([Fe/H] < -1) and metal-rich clusters with stellarpopulation models in order to estimate the ages of the NGC 524 globularclusters. We conclude that the clusters are generally old, and arecoeval at the 2σ confidence level. To determine the mean[α/Fe] ratios of the globular clusters, we have employed theMilone et al. α-enhanced stellar population models. We verifiedthe reliability of these models by comparing them with highsignal-to-noise Galactic globular cluster spectra. We observe a weaktrend of decreasing [α/Fe] ratios with increasing metallicity inthe NGC 524 clusters; the metal-poor clusters possess [α/Fe]~0.3,whilst the metal-rich clusters exhibit [α/Fe] ratios closer tosolar-scaled values. Analysis of the cluster system kinematics revealsthat the full sample (excluding an outlying cluster) exhibits a rotationof 114 +/- 60 km s-1 around a position angle of 22°+/-27°, and a velocity dispersion of 186 +/- 29 km s-1 at amean radius of 89 arcsec from the galaxy centre. Subdividing theclusters into metal-poor and metal-rich subcomponents (at [Fe/H]=-1.0),we find that the metal-poor (17) clusters and metal-rich (11) clustershave similar velocity dispersions (197 +/- 40 and 169 +/- 47 kms-1, respectively). However, the metal-poor clusters dominatethe rotation in our sample with 147 +/- 75 km s-1, whilst themetal-rich clusters show no significant rotation (68 +/- 84 kms-1). We derive a virial and projected mass estimation forNGC 524 of between 4 and 13 × 1011 Msolar(depending on the assumed orbital distribution) interior to ~2 effectiveradii of this galaxy. We built three models for the gravitational field of the Galactic bar.These models are an inhomogeneous ellipsoid, an inhomogeneous prolatespheroid, and a superposition of four inhomogeneous ellipsoids. Amongthe three models, the superposition provides our best approximation tothe observed boxy mass distribution of the Galactic bar. Adding the barcomponent to an axisymmetric Galactic model, we have calculated stellarmidplane orbits and orbits of some globular clusters with knownkinematical data. For all models we find a secular dispersion effect onthe orbital energy and angular momentum, as measured in the Galacticinertial frame. This effect might be relevant to explain the orbitalprograde-retrograde distribution of globular clusters. For the stellarkinematics, we study the connection between the sense of orbital motionin the midplane and the onset of chaos in the presence of the bar. Inthe inner region of the bar, chaos is induced by an axisymmetric centralcomponent (bulge), and it arises in orbits that change its orbital sensefrom prograde to retrograde and vice versa as seen from an inertialreference frame. Outside the bar region, chaos appears only in progradeorbits. Our results concerning such a connection are consistent andextend those obtained for midplane orbits in the presence of only aspiral pattern in the axisymmetric Galactic model. We present high-resolution infrared echelle spectroscopy for theglobular clusters Palomar 6 and M71. Our mean heliocentric radialvelocity of Pal 6 is +180.6+/-3.2 km s-1 and is 20 kms-1 lower than that found by Minniti in 1995. Contrary to theprevious metallicity estimates using low-resolution spectroscopy, ourresults show that Pal 6 has an intermediate metallicity, with[Fe/H]=-1.0+/-0.1, and is slightly more metal poor than M71. Reasonablechanges in the surface temperature or the microturbulent velocity of themodel atmospheres do not affect [Fe/H] at more than +/-0.2 dex. In spiteof its high metallicity, on the basis of the spectrum of a singlecluster member the [Si/Fe] and [Ti/Fe] ratios of Pal 6 appear to beenhanced by 0.4 and 0.5 dex, respectively, suggesting that the Galacticinner halo may have experienced a very rapid chemical enrichmenthistory.Based on observations made with the Infrared Telescope Facility, whichis operated by the University of Hawaii under contract to the NationalAeronautics and Space Administration.